Often referred to as Holland, the Netherlands is a country that boasts a unique landscape, favorable climate and tumultuous history. Geographically speaking, the Netherlands is a low-lying country with nearly 20% of the land and its population being below sea level.In Dutch, the country’s name (Nederland) literally translates to “Low Country.”Much of the areas below sea level are man-made and the result of extensive peat extraction. As a founding member of the EU, the Netherlands was one of the first countries to implement an elected parliament. Its capital city is Amsterdam, while the government seat is housed in The Hague. In 2011, the country had the tenth-highest per capita income in the world. Fishing, trade, shipping and banking are leaders in the Dutch economy and the Netherlands ranks among the top 10 exporting countries. 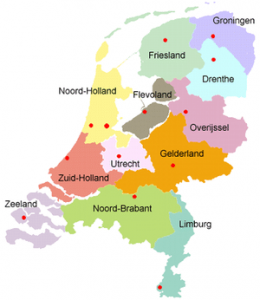 The Netherlands is divided into 12 different provinces. Each province has its own government which is led by the Governor and its provincial assemblies. Provincial assemblies are elected every four years. Those visiting the Netherlands will quickly see that each province boasts its own local customs, attractions and history. Friesland: The Friesland province is located on the mainland, but also includes the West Friesland Islands. Its capital city Leeuwarden is a quiet, charming town that boasts a population of nearly 100,000 inhabitants. In this particular region, the locals adhere to a traditional way of living and speak their own unique language known as West Frisian.Notable cities include Dokkum, Heerenveen, Franeker and Sneek. Groningen: This province is also a part of the Dutch mainland, but also includes the islands of Simonszand, Zuiderstrand, Rottumeplaat and Rottumeroog. Named after its capital city, the Groningen province is primarily an agricultural region. However, many historic monuments and buildings can be found in nearly every village and town of the province. Its capital city Groningen is the headquarters for the natural gas giant Gausnie. The Groninger Museum can also be found in the heart of the city and features an eclecticcollection of modern art, Dutch Golden Age art and archeological artifacts.The northern region of the province, known as Hoogeland, is a popular holiday spot for the Dutch. Many natural reserves can be found here and Groningenis an excellent location for water sports. North Holland: While Amsterdam may be the biggest and most notable city in North Holland, its capital city is Haarlem. The province is a wide peninsula with more than half of the land lying below sea level. North Holland is home to more than 100,000 residents and includes four different municipalities. Just north of Amsterdam, old cities and villages can be found that feature historic architecture and traditional lifestyles. Large cities, such as Alkmaar, Hoorn and Haarlem are home to many sights and attractions. Alkmaar is a must-see for food lovers as the city is known as the capital of cheese. Overijssel: The Overijssel province is located in the central-eastern region of the Netherlands. Its name translates to “across the banks of Ijssel.” Its capital city Zwolle has a very rich history that dates back to the Bronze Age. Notable cities within the province include Kampen, Almelo and Enschede.The town of Kampenhas more than five hundred historical monuments to explore. The historic city is still fortified by its medieval gates, which tourists can visit and take a trip back in time. There are three natural reserve areas in the region: Los Hoos, De Weeribben and Oomen. Giethoorn is a small village located near De Weeibben where travelers can get a taste of Dutch rural living. The town is revered by the Dutch as the most beautiful village in the country. Drenthe: Drenthe is primarily an agricultural region and has been sparsely populated since medieval times. The towns of Assen (the province capital) and Emmen do have some industry, but the province is mainly used for farming purposes. Drenthe dates back to prehistoric times and artifacts found in the region are some of the oldest in the Netherlands. Ironically, the province was one of the most densely populated areas of the country until the Bronze Age. There are 52 Neolithic monuments in Drenthewhose origins remain a mystery and are simply referred to as ‘hunebedden’ (dolmens). These structures are older than Stonehenge. The famous painter Vincent van Gogh found inspiration in Drenthe early on in his career when he painted Dutch farmers hard at work during his stay in the province. South Holland: This particular province was formed in 1840 when Holland was officially divided. Part of the province is located on the Dutch mainland, but also includes the islands of Voorne-Putten, Goeree-Overflakkee, Ijsselmonde and Beijerland-HoekseWaard. The capital of the province is The Hague, which is also the seat of the Dutch parliament and government. 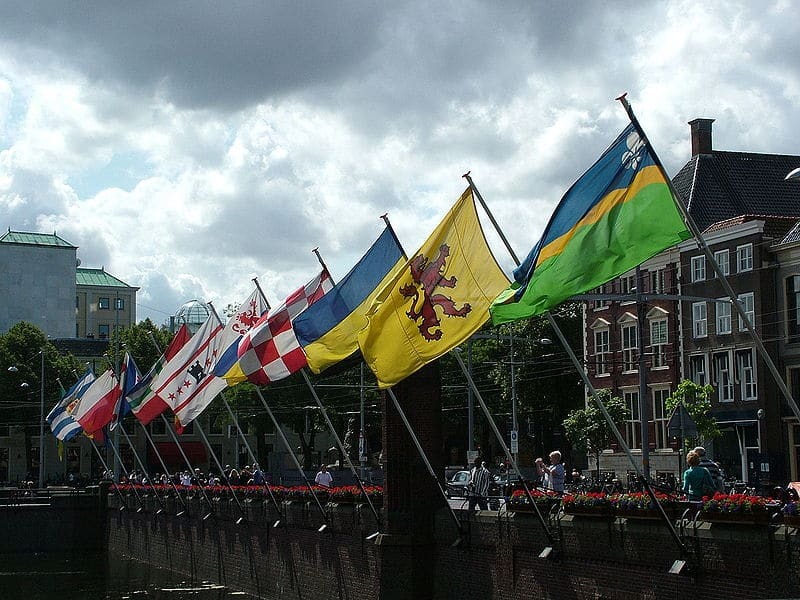 Naturally, the province is an integral part of Dutch political life and has been since the Middle Ages. The region features a number of seaside resorts, sandy beaches and historic villages. Zeeland: The Zeeland province is the most western province of the Netherlands and consists of a large number of islands. Its name, “Zeeland,” refers to “sea land,” and a large portion of the region is situated below sea level. The capital city of the province is Middelburg. Tourism is a major part of the local economy in Zeeland, especially during the warm summer months when travelers flock to its beaches. Utrecht: The Utrecht province is named after its capital city and is one of the most populated areas of the country. The province was the source of great conflict throughout a large portion of its history. However, the capital city and its surrounding areas are home to a number of historical monuments, buildings, museums and castles. Limburg: Limburg is the southernmost province in the Netherlands whose capital city is Maastricht. The province boasts a diverse landscape with plentiful forests, rolling hills and a number of big rivers. Limburg also has its own regional language, known as Limburgish. Its capital city was founded by the Romans during the Middle Ages and went on to become a major trade center. Notable towns in the province include Sittard, Arcen, Thorn, Honsroek, Valkenburg and Heerlen. Many castles can be explored by tourists. Flevoland: Flevoland is a new Dutch province that was formed in 1988. There are three polders in the province. Noord-Oost Polder is connected to the mainland, while East and South Flevoland remain as islands on Ijsselmeer. Lelystad is the capital city of Flevoland. This flat region is primarily used for agricultural purposes. Gelderland: Gelderland is located just south of the Overijssel province. This province is the least populated yet largest region of the country. The area features a number of large national parks and a few industrial areas. The capital city of Arnhem is most famous for its battle with Nazi Germany during WWII. The Kroller-Muller Museum is a tourist hotspot that features a large collection of modern art. North Brabant: North Brabant is a bustling province that is one of the most densely populated provinces in the country. This region of the Netherlands is home to many industries and its capital city ‘s-Hertogenbosch attracts thousands of tourists each year. One of its most industrial cities, Eindhoven, features a modern art museum with artwork from Pablo Picasso.